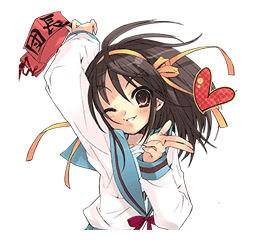 http://www.line-stickers.com/ – The Melancholy of Haruhi Suzumiya Line Sticker | The bestseller with over 18 million copies sold worldwide has finally come to LINE. Get these exclusive stickers and become part of the S.O.S. Brigade!